With heavily automated cars moving toward the marketplace, universities and governments around the world are building facilities that mimic urban roads. CONCORD, Calif. -- Mercedes-Benz won't be the only automaker to test its self-driving cars on the cracked roads of the Concord Naval Weapons Station, a retired military base northeast of San Francisco. Honda Motor Co., which has an r&d center in nearby Mountain View, Calif., announced today that it has started testing its automated driving features there. Though the Japanese automaker has proving grounds around the world, it seeks to take advantage of the base's diverse landscape, which features railroad tracks, tunnels and an abandoned street grid -- all left over from its World War II heyday as a shipping site for naval munitions. For automakers, which must ensure that self-driving cars can deal with faded lane markings and poorly maintained paving, the base's somewhat weedy state is actually an advantage. And because the facility is a former military base, it is closed to the public. The naval base "is a controlled environment that can be continuously modified to represent a wide array of settings that an automated vehicle must navigate, especially for urban operation,” Paul Cummings, a manager for automated vehicles at Honda's U.S. r&d division, said in a statement. The first automaker to use the facility was Mercedes-Benz, which announced its plans in October. 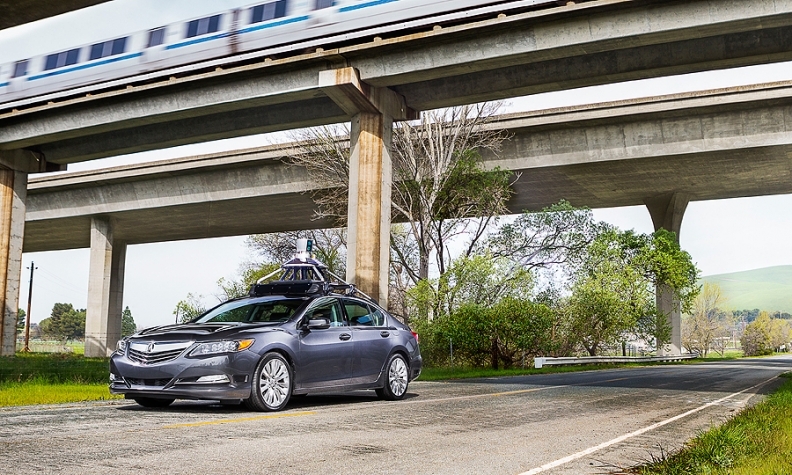 The facility, run by the Contra Costa Transportation Authority and marketed as GoMentum Station, is one of several new testbeds for self-driving cars. With heavily automated cars moving toward the marketplace, universities and governments around the world are building facilities that mimic urban roads, seeing an opportunity to attract researchers and create jobs nearby. In the backyard of the Detroit 3, the University of Michigan is building the Mobility Transformation Center, a 32-acre cityscape with 4 miles of simulated urban roads that includes working traffic lights, simulated pedestrians and obstacles such as construction barriers. Texas A&M University, northwest of Houston, is building a complex of its own. Similar facilities are also in development in Europe and Japan. Honda has kept quieter about its automated driving research than European luxury brands Audi and Mercedes-Benz, which have taken their self-driving prototypes on long-distance drives to position themselves as technology leaders. Supplier Delphi Automotive, seeking to show off its work, took a self-driving car on a cross-country drive from Silicon Valley to New York this month, arriving just before the start of the auto show. However, Honda's Acura brand offers automated technology, such as a cruise control feature that can watch lane marking and turn the steering wheel to keep a driver on track. And more is on the way. At a connected-car conference in Detroit last fall, Honda showed a prototype that can merge onto a highway on its own, change lanes, follow the pace of traffic and exit the highway. It also demonstrated a feature called "virtual tow," which would allow one car to lead another car to a hospital if its driver had a heart attack or was otherwise in distress.